Andrews Automation Ltd has become one of the industry leaders in innovative materials handling solutions. Many enquiries that come into us are from clients frustrated that standard conveyor systems are unable to solve process issues that their facilities are experiencing. Luckily for them, help is out there. Andrews Automation Ltd is able to tailor solutions to customer requirements, rather than making standard systems fit in with what can sometimes be quite challenging environments. 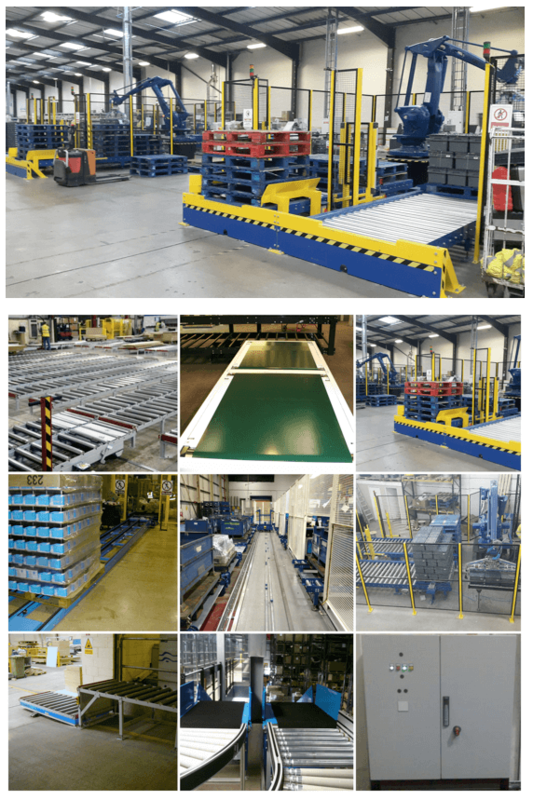 Whether it be powered roller conveyor systems for a cold store, or a robot palletisier with the ability to collect intricately moulded tote bins, Andrews have the experience and technical know-how to provide a workable solution. Andrews Automation Ltd have recently completed the installation of seven robot palletising cells that are required to palletise tote bins at a rate of 900 totes per hour. 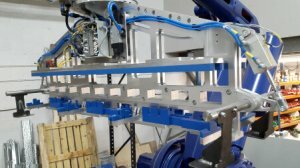 Our design team set to work on designing a gripper head that would handle multiple totes in order to reach the required throughput. Our designers came up with a double-sided gripper head solution that collects totes in threes on one side of the gripper, and in fours on the opposite side. This allowed for the collection of multiple totes, plus it enabled us to create the required stacking pattern to maximise the pallet space and create a stable load. What about the facility to automatically collect an empty pallet? 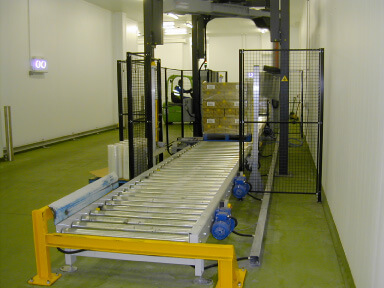 Andrews Automation Ltd incorporated a ‘pallet grab’ facility to the side of the gripper head. 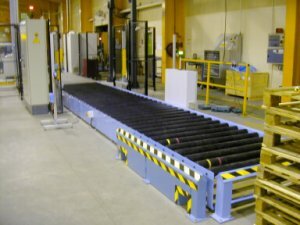 Andrews Automation was asked about transporting loaded pallets up an incline to a separate part of a wood production facility. 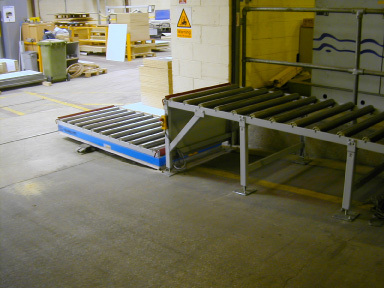 The client had reservations about the safety of an inclined system with the loads being of significant weight. Our solution was to supply a foot operated scissor lift to initially raise the pallet to the height of the target area, and then transport the load horizontally via a standard roller conveyor. A client approached us and enquired for a powered conveyor solution, but had concerns about grip and slippage on standard steel roller conveyors. Andrews Automation supplied heavy duty rubber covered rollers to maximise the transportation grip. 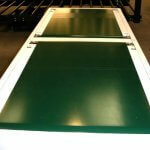 This created a much more reliable and safe solution, in addition to one very happy customer.